Most of us are under the impression that oats, which are rich in fiber, contain gluten. However, this is not correct. Research reveals that oats are completely safe for celiac patients. Generally, oats contain avenine, which are non-toxic proteins and easily tolerated by celiac disease patients. They don’t contain gluten. However, 1% of celiacs may show a reaction if they consume a large amount of oats regularly. Pure oats are gluten-free. While most commercially processed oats are contaminated, some varieties of oats are grown and processed in uncontaminated environments and are sold under the label "gluten-free." 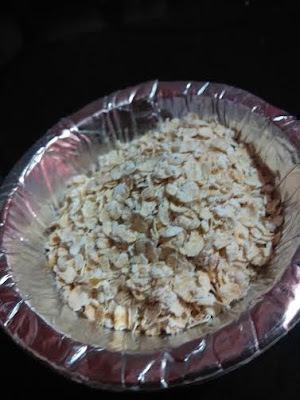 Though oats are not related to gluten-containing grains, including wheat, rye, and barley, they may sometimes be contaminated during growing, processing, or harvesting period. Such oats may not be safe to use. Cross-contact can occur in the field where the crop is grown side-by-side with other grains, especially wheat, making oats contaminated. Oats selected from sources contaminated by rye, wheat, or barley may cause gastrointestinal (GI) symptoms due to the increased fiber in oats. Historically, the safety of oats has been an issue of debate. Extensive research reveals that the majority of people with celiac disease can tolerate moderate amounts of uncontaminated, pure oats. In fact, pure oats are beneficial to those individuals with CD who can tolerate it, as these are a crucial source of proteins, fiber, and carbohydrates. For celiac disease patients, the amount of pure oats in everyday diet should be limited to 50-70 grams (1/2 cup of uncontaminated oats) for adults and 20-25 grams for children. Please go to the source to get a deeper insight on oats.